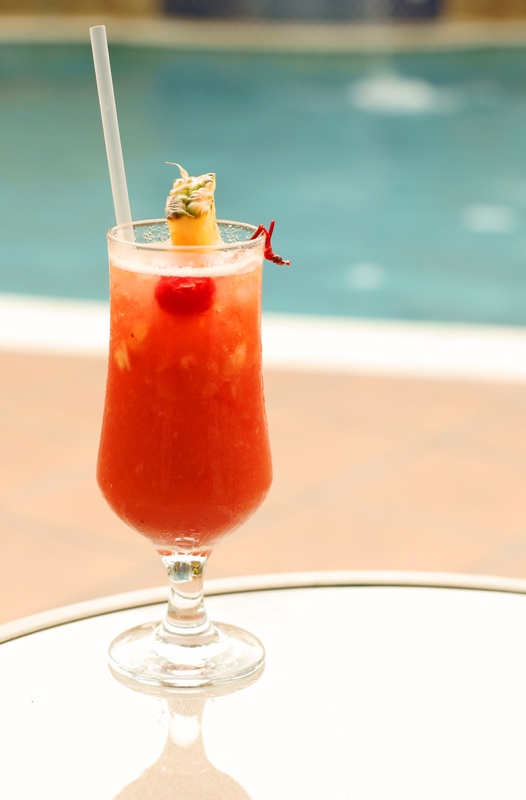 Terrific drink to enjoy poolside. Shake rum, fruit juices, grenadine, and simple syrup with ice. Strain into a highball glass filled with fresh ice. Top with bitters. Garnish with pineapple and cherry.